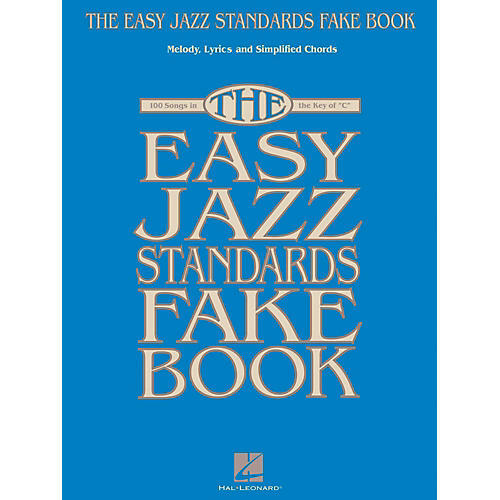 100 must-have jazz standards presented in larger notation with simplified harmonies and melodies, with all songs in the key of C, and introductions for each song, to add a more finished sound to the arrangements. Titles: Alice in Wonderland • All or Nothing at All • Over the Rainbow • April in Paris • Begin the Beguine • Blue Moon • Body and Soul • Cry Me a River • Darn That Dream • Easy to Love • Embraceable You • Fascinating Rhythm • Good Morning Heartache • Harlem Nocturne • How Long Has This Been Going On? • I Get a Kick out of You • It Ain't Necessarily So • Just One of Those Things • A Kiss to Build a Dream On • Let's Do It (Let's Fall in Love) • Lollipops and Roses • Love Walked In • Lullaby of Birdland • Mack the Knife • Nice Work If You Can Get It • Night and Day • On Green Dolphin Street • The Shadow of Your Smile • Someone to Watch Over Me • These Foolish Things (Remind Me of You) • A Time for Love • When Sunny Gets Blue • Willow Weep for Me • You Do Something to Me • You Stepped Out of a Dream • and more.